Wintery landscapes for California. Get outside & enjoy nature, it's free! Total Escape, now 11 years online, is here for you to live your life (outside) as much as possible. Away from this box, that cubical, away from the media. Wilderness to enjoy. Places to think. California back roads and more, small towns, the secret spots. Enjoy your California! Get away this winter to a very special place. A remote location to unwind, to relax & to play. 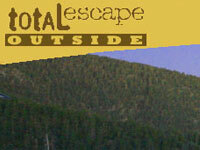 Cheap California vacations can be found here on Total Escape. Plan a local weekend in the mountains, or an inexpensive week-long vacation. 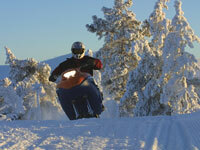 Snowmobiles, cozy cabins, hot springs & all. 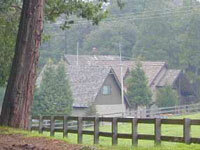 We only list lodging: independent cottages, cabins, condos & historic grand Sierra lodges. California snow weekends. The Sierra Nevada is ready & waiting. Good winters do not come around every year, so enjoy the white stuff while you can. If your looking for bargain trips & easy snow mo rentals, do not go to Mammoth. Stay on the west side for great trails & good deals at Huntington Lake, where you can snowmobile to Mono Hot Springs. It's where you need to be, where you yearn to exist. On your days off, you seek a bond with Earth. Crave the sun & fresh air... very natural. Dreamy scenery. Waterfalls, the back roads the small towns & outdoor recreation. Postcard style, local travels from camp diva herself. Total Escape is currently revamping this decade old site from the bottom up. 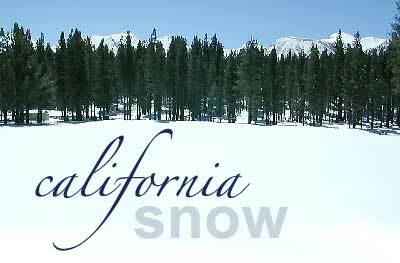 Awesome travel ideas for California snow weekends & anything outside. From Shasta to Idyllwild, California has a few perfectly delightful mountain communities, in the forests, on the mountains, many with local cabin rentals. These mom-n-pop businesses & small towns need your tourist dollars more than ever. Less traveling means better deals for you. Call the inn to inquire on best rates or last minute innkeeper specials.